Digital media software company Roxio purchases the assets of the former Napster, including name, logo, domain name, technology portfolio, and other intellectual property. Napster was the peer-to-peer file sharing service that changed the music industry forever, facilitating the easy sharing of music, much to the chagrin of the established music industry. The RIAA sued Napster causing a judgement against the file-sharing service requiring them to monitor its network for copyright infringing material and restrict access when made aware of such incidents. Napster could not comply with this court order and shut down its service before declaring bankruptcy in 2002. Roxio was the first company to attempt to use the Napster brand for a music service, renaming Pressplay as Napster 2.0. 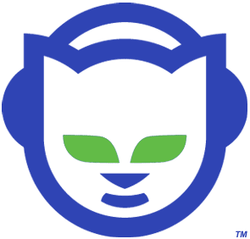 In September 2008, Best Buy purchased the Napster service for $121 million, before merging it with the Rhapsody service in December 2011.